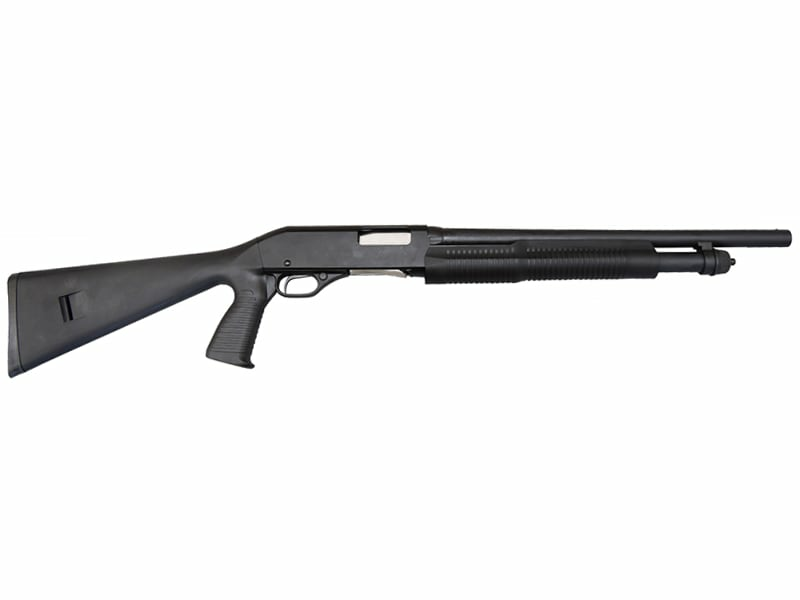 Savage Arms 19485: The Stevens 320 shotguns are well-built imported models carefully selected for their performance and value providing many features only found on more expensive models. The 320 Security Pump features a proven rotary bolt design and dual slide bars for reliable operation. The receiver is a bottom load with right eject. 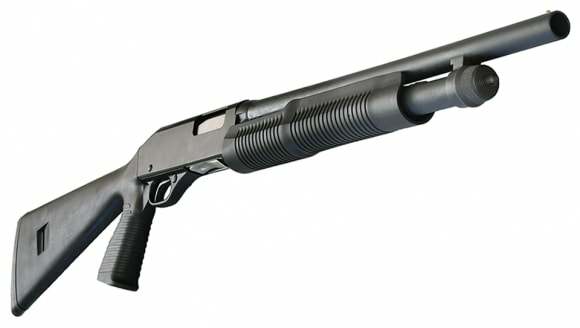 This 12-gauge model has a black synthetic stock with a pistol grip, 18.5" blued barrel with a cylinder bore and bead front sight. 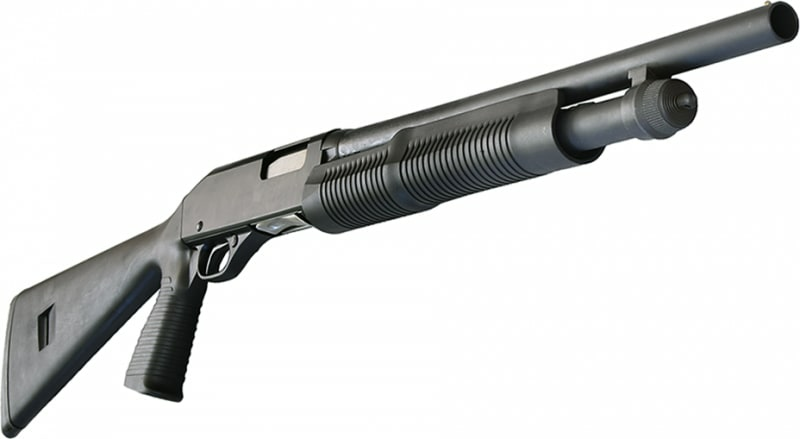 The Savage Arms / Stevens brand is one of the premiere firearms companies in the U.S. and these fine 320 Security 12 gauges are a good example of why. They look great, have tons of features, are extremely comfortable, have an incredibly smooth action, and most importantly they have a legendary name. 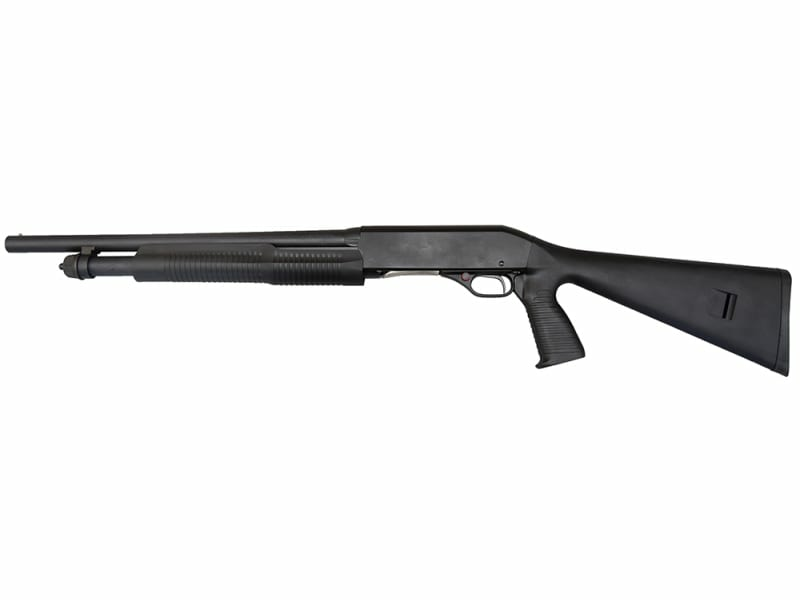 This highly affordable, yet well made Tactical style 12 gauge from Savage is one firearm that is both practical and functional. This unique firearm features a 18.5" bbl, 3" chambers, trigger guard, push through safety, scope rail, dual guide arms,and a front bead sight. Rotary Bolt design provides smoothness and reliability. Comes new in the box and warrantied by Savage / Stevens.